Health news tends to be fact-based, but let’s face it; sometimes we need a little inspiration. Today, I want to share something that (I hope) will leave you feeling motivated; not only to get your workout in, but to share the gift of good health and good deed with those around you. Being an ex-dancer, this is a subject quite close to my heart. I firmly believe in using the power of movement and its ability to create happiness. 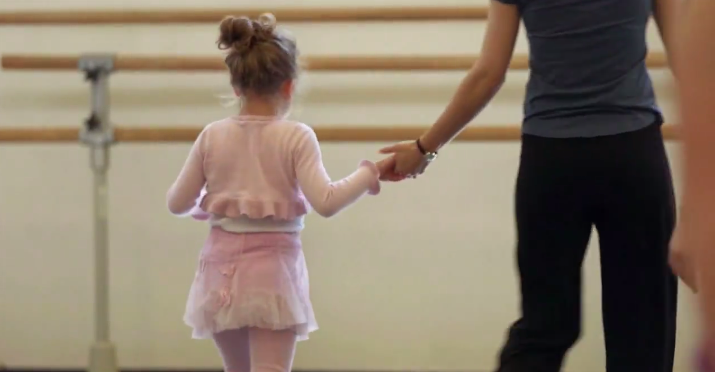 This video you are about to watch (posted by Upworthy) tells the story of Natalie Armoza, a loving mother who reached out to the New York City ballet and asked for them to allow her daughter (who was diagnosed with cerebral palsy) and other disabled children to be able to participate in the workshops hosted by the company. She was left in a beautiful shock when the company created not one, but four, workshops with a cerebral palsy specialist and two of their principal dancers. As a former ballerina, his one tugged at my heartstrings in a big way. I love that these children will get to experience the beauty of this incredible art form, to feel the movement and participate in dance in a way and space they may have never had the chance to if not for the courage and love of one mother. ← The Mind-Body Disconnect: How Tuned-In Are You?